As has been publicised by Oxford United, the postponed collection for the Oxford Food Bank will be held before this Saturday’s match against Sunderland. There will be staffed collection points around the ground by the turnstiles. Also, OxVox will be accepting donations at our stall inside the South Stand Bar from 1.00-2.30pm. Please bring any in-date food donations or come and make a financial donation to the work of the Food Bank. We look forward to seeing you on Saturday and taking your donations for this worthy cause. You can also come and ask us any questions, update your membership if necessary, or enrol any friends and relatives who may wish to join OxVox. The Trust that makes a difference and we’d love you be part of it. So don’t delay, join today! 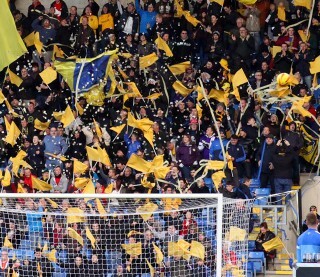 OxVox is an independent voice on matters affecting Oxford United Football Club and its supporters. We aim to keep the fans informed and to represent fans’ interests to the football club. Set up by fans for fans.